Home Tree of life: a new way of life! Tree of life: a new way of life! We all know our planet is suffering and we should treat her with more respect…..but many ask themselves how…..
Tree of life is here to help the planet and ….. people who want to do the right thing but who just don’t know where to begin. With one million trees disappearing from our planet each hour it’s time to act. The first step to change our way of life is by planting trees. You can help to restore the worldwide ecosystem by saving one tree or more each month. But a Tree of life does even more: it helps us to do independent research on the best way to create a viable future on this planet and it gives us the means to create awareness. All this for only € 5,00 per Tree of life. 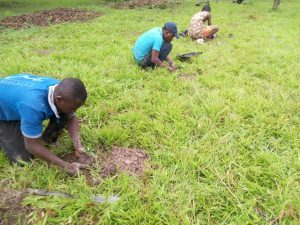 The first trees are planted in Togo, West-Africa. Restoring bio-divers forests in Africa is important, because deforestation in Africa creates humanitarian disasters at this very moment. 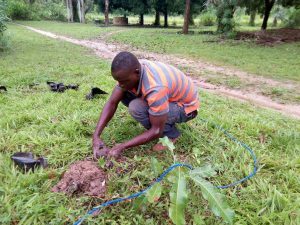 We have a network in Togo and the means to protect your trees. Be a change maker and start planting Trees of life right now! If you want us to register your trees, we need you to fill in the form below. If you just want us to plant the trees for you, you can ask your bank to transfer your donation once a month to the bank account of Stichting Het Kan Wel! mentioned at the bottom of the page. For Dutch citizens and companies that pay taxes in the Netherlands donations are tax deductible. Join us in our campaign to make this world a better place and show the world you care!